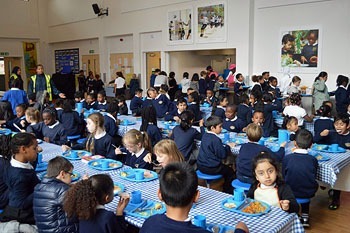 At present, all school meals are free at Keir Hardie Primary School, but we ask all parents to check their Free School Meals eligibility by clicking here and following the instructions to fill out a short form. 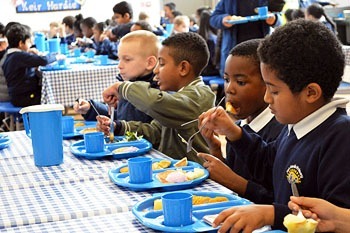 The school receives valuable funding for every child who is eligible for Free School Meals. 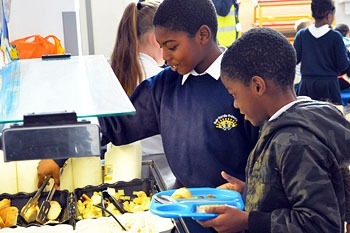 Keir Hardie Primary School is an accredited Healthy School, and we pride ourselves on our healthy, balanced and varied school meals. As well as the options shown on the menus below, there is a daily vegetable selection for the children to choose from. We also have a salad bar where children can serve themselves a variety of fresh salad and pasta or couscous. Water and milk is available at the tables during the lunch break. If you wish for your child to have a regular packed lunch instead of a school dinner, please let the office know. We monitor packed lunches to ensure that they are healthy. 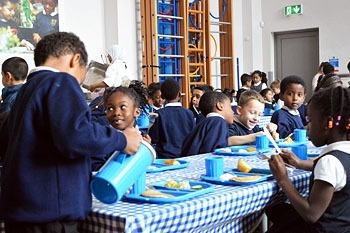 We do not allow sweets, crisps or fruit juice in packed lunches. Please see below some ideas for a healthy, balanced packed lunch.